Everyone is anticipating next weekend’s (14th June) Man Of Steel. Zack Snyder and Christopher Nolan appear to have delivered a Superman film for the 21st Century but we shouldn’t forget about Richard Donner’s 1978 film, or his 2006 cut of Superman II. The Donner films broke new cinematic ground. Visually they’re stunning, and that’s before you take into the account the special effects – most of which still hold up today (impressive when you consider that they were making them up as they went along). However, the film’s cinematic palette was spot on, with Geoffrey Unsworth’s cinematography adding a rich texture to Donner’s multi-layered narrative. The crystal gloss of Krypton, the rich, vibrant colours of Smallville and the steeliness of Metropolis give the film visual structure that few films (never mind comic book films) can lay claim to. John Williams’ score is a triumph. It’s debatable if it’s better than his work on Star Wars, but it just might be. It perfectly captures the tone of the film and its iconic lead character. It’s rousing, emotional and action packed. Not to belittle the work of the great Hans Zimmer, but he will never top Williams’ triumphant Superman score. What can I say about the casting of Christopher Reeve which hasn’t been said before? The man is the epitome of Superman and Clark Kent. Reeve is strong, direct and full of the honest character that you would expect from the man who fights for truth, justice and the American way. However, it’s as Clark Kent that Reeve really shines. It has long been said that the Superman mythos turns the superhero convention on its head – Clark Kent is the creation and Superman is his true character is. Reeve understands this and his body language is and demeanour change when he’s playing Kent. Watch again how his posture changes when he transforms from Kent to Superman. Gene Hackman brings the right attitude Lex Luthor. Hackman always exudes class and he doesn’t treat the material like it is beneath him. He brings his A-game, adding a level of complexity to his character that (ironically) belies its comic book routes. It’s the little things – keep an eye on his hair and his exasperation with Otis, it’s a master-class in doing a lot with so little. Then there’s Marlon Brando. Much has been made of Brando’s (then) record-breaking $3.7 million salary, but he also delivers a performance that is filled with gravitas. Brando brings a Shakespearean eminence to Jor-El. Donner’s films don’t get everything right. It could be said that Margot Kidder’s Lois Lane is too masculine, too bullish. Admittedly, I don’t feel that anyone has ever managed to get Lois Lane right on screen. TV’s Teri Hatcher was too shrill, Kate Bosworth was too insipid and Amy Adams appears to be too…miscast (although, I’m willing Snyder and co. to prove me wrong). There might also be a little too much slapstick, but that doesn’t matter – the film as a whole works. 2006 saw the release of Richard Donner’s Superman II. Donner was unceremoniously dumped from the film by the producers, after shooting the lion’s share of the footage. He was replaced by Richard Lester who upped the camp quota and ditched the Brando footage – they didn’t want to pay him twice! Gene Hackman declined to return following Donner’s departure, and a stand-in was used for anything that needed to be reshot. Michael Thau helped restore Donner’s film, following a grass-roots internet campaign. Thau uncovered previously lost footage and brought together new elements to finish-off Donner’s original. There is the occasional bit of rough and tumble, as one key scene in the film is a screen test which Donner thought was integral to the film. Superman II: The Richard Donner cut always looked like it would become part of Hollywood lore, a film that might have been. That changed in 2006, when fans were finally allowed to see what Richard Donner had wanted for his vision of Superman. 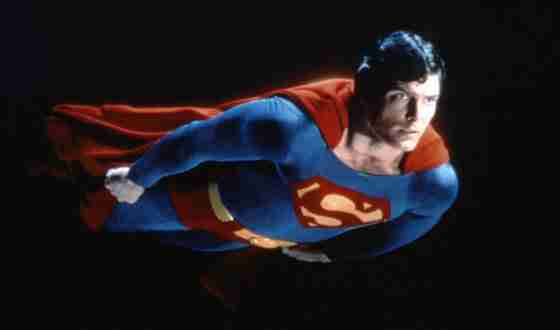 Now is the perfect time to re-watch Richard Donner’s Superman films. These are from a different time, an honest time, before CGI and the commercialisation of cinema. Believe a man can fly.